In an I-Team update, we're learning a contractor in question recently pleaded guilty to home repair fraud in several counties. JOLIET, Ill. (WLS) -- In an I-Team update, we're learning a contractor in question recently pleaded guilty to home repair fraud in several counties. He could be facing as much as 10 years in prison. This week, the convicted contractor was sentenced in Will County on two counts of theft. And for those charges, he could spend more than two years in prison. But that sentence is only one portion of what may be a long time behind bars. Joseph Hisel: "You can get off my property." We stayed off his property, and now Hisel won't be there either. The Joliet contractor is on his way to state prison. The I-Team questioned him two-and-a-half years ago after homeowners said they were left with unfinished work. Now, four guilty pleas have piled up around the Chicago area. This week in Will County, prosecutors say a judge gave him two-and-a-half years in prison for two Class 3 felonies of theft. At the beginning of April in Grundy County, Hisel got another two-and-a-half years for one count of theft. At the end of March in Cook County: a three-year sentence on one count of home repair fraud. At the beginning of March in DuPage County, Hisel got a two-year sentence for a Class 3 felony of "theft by deception with intent to deprive." Some of that time will be reduced based on time served in county jail and could be reduced further for good behavior or if his lawyer can get some sentences to run concurrent. But it's a major win in the eyes of prosecutors, who say this kind of prison time is rarely seen in home repair fraud cases. The DuPage County State's Attorney's Office says one reason a judge handed down a two-year sentence is because Hisel ran after his original 60-day sentence. Convicted contractor nabbed in W.V. A convicted contractor on the run has been caught. As we reported in August, Hisel was caught sleeping in a West Virginia hospital bed after five months of avoiding the law. 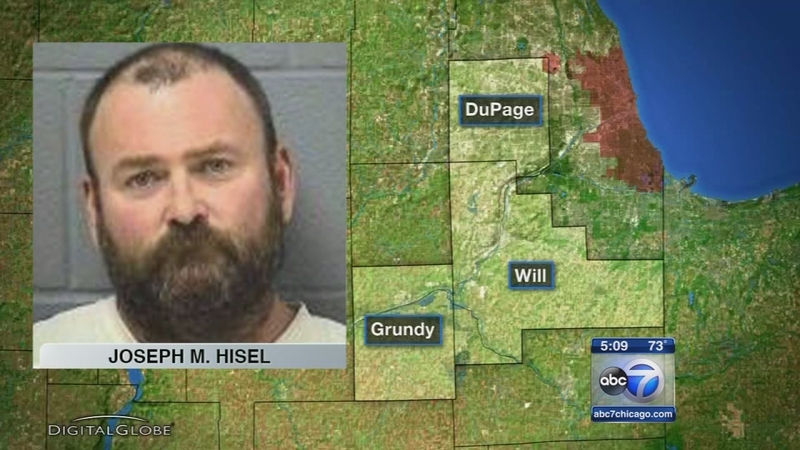 Grundy County, DuPage County and Will County authorities all looking for contractor Joseph M. Hisel. State's attorney offices say they're pleased that some of the sentencing orders will force Hisel to pay several thousand dollars in restitution money to the victims. Those consumers say they were left with unfinished work. 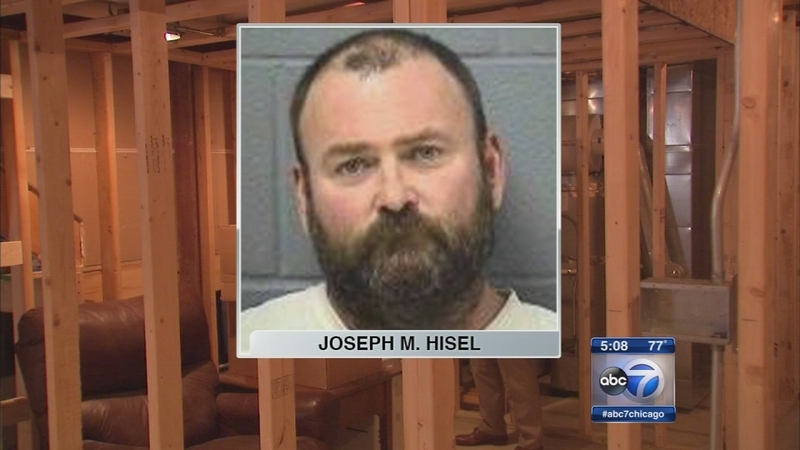 We called Hisel's Joliet attorney for comment but have not yet heard back.